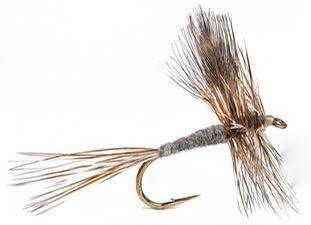 This should be the first dry fly that all tiers learn. It has all of the classic elements of a dry: spun hackle, upright wings and a long tail. Once you master the Adams, all dry flies will be relatively easy to tie. While not a perfect imitation of anything, the Adams is the ultimate generalist any time mayflies are hatching. In fact, any time there are bugs on the surface of a lake or stream, the Adams will produce. It just has that ideal neutral shade that appeals to trout in a host of conditions. When I first moved to Alberta and didn’t know about western hatches, I fished the Adams everywhere, from tiny brook trout streams to big rivers to high-mountain lakes. It was a good thing I didn’t know much, because the Adams caught fish everywhere, and it’s still my most-used dry fly. 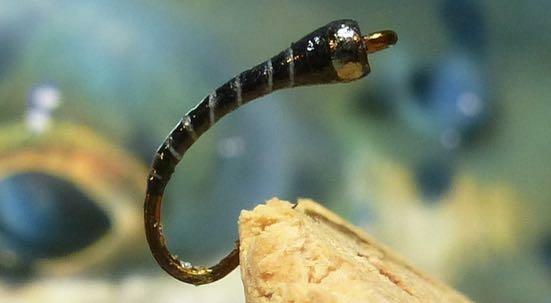 The key is carrying a wide range of sizes, and keeping the fly well coated in silicone floatant—the higher it rides on the water, the more effective it is.